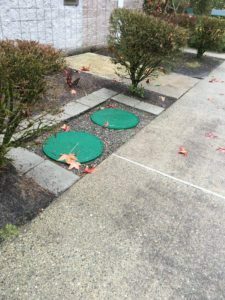 Septic tanks are a necessity for homes without a connection to the municipal sewer system. If your property is having problems with its septic system for treating underground wastewater, a new septic system installation that’s highly efficient and self-contained will solve issues of wastewater disposal in a less environmental disruptive manner. Due to the simple design, efficient working, onsite underground septic tank installation in the back or front yard can save lots of money on laying miles of sewer line. 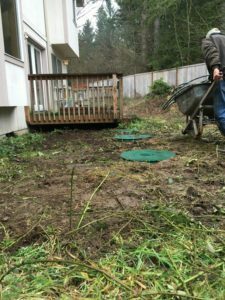 To replace septic systems and new septic tank installation, VAC-TEC is a name you can trust for your Elk Plain, WA property. If you are planning to include a new septic system or replace a septic system that is malfunctioning, hire a professional septic contractor for new septic system installation. If you do not know who to choose as the company for new septic system installation in your Elk Plain property, call us. We are the right company for the job! Septic tanks are installed underground along with a soil absorption system called a drain field. When something goes wrong with the system, you may need a new septic tank installation or partial replacement of existing components. 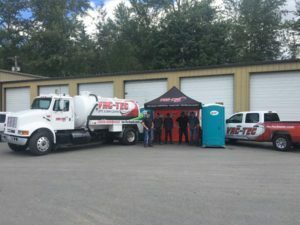 We have a competent and trained team for certified septic tank installation operations available 24/7, 365 days a year for septic and sewer emergencies. Like everything else, septic systems have a limited lifespan. Under certain circumstances, you will be required to replace septic systems. Reasons for a failing septic system include design, size, installation, improper maintenance, soil composition, water table, and vegetative growth. We can inspect and determine whether you require a new septic tank system or need to replace components of the existing system. In case you notice any signs of septic system failure immediately contact us. To replace septic systems or installing a new septic system in Elk Plain call VAC-TEC (253) 777-4887.